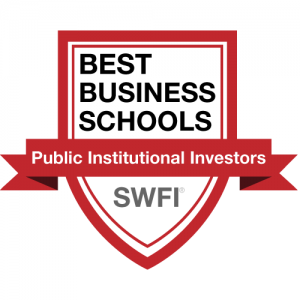 Since our last issue, SWFI has engaged in an ambitious research project developing a rankings table specifically geared toward the top business schools for public investors. The inspiration for the project came from our fund profiles. What we noticed was, along with the top accustomed schools, several prominent executives came from smaller universities, or schools with unfamiliar names. This piqued our curiosity about who was really managing these funds, and where they were educated. There are countless rankings lists that sort schools by the number of programs they have or their cost to attend, but there has never been a ranking that incorporated the number of graduates that went on to manage public money. Although other lists are a good start to give a graduate an idea about where to study, we wanted to focus on outcomes – ostensibly the most important factor in determining whether to attend a business school. Thus, although we too considered factors such as acceptance rate, and student-faculty ratio, a much heavier weighting was placed on the number of graduates that appeared at the highest levels of sovereign wealth funds, public pensions, endowments, central banks and other public funds. 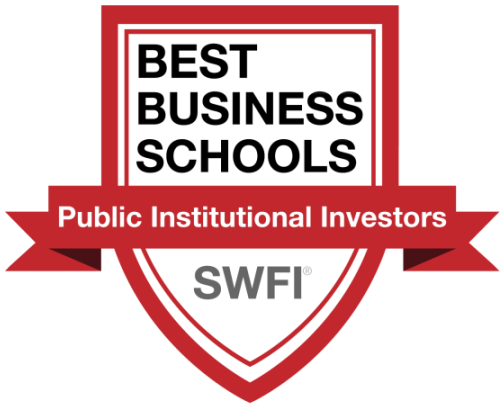 The largest factor in the rankings was the number of public institutional investor executives who attended the business school. Other quantitative factors include school acceptance rates, faculty-to-student ratio and rejection rate. SWFI editorial staff had final say on the rankings. The sample size of public institutional investor executives was 300. 62% of the sample were from pension funds and public funds, while 48% were from sovereign wealth funds. Common job titles were chief investment officer, president, senior vice president and director.